SPUN GOLD--- CHINA BUSTED Scrubbing Internet of Articles That Show Gymnasts Are Too Young! China Caught Scrubbing Internet– Gymnasts Are Too Young! Between 2003 and 2006 the General Administration of Sport of China reported that Chinese gymnast Yang Yilin was born on Aug. 26, 1993. There were already reports questioning the age of the Chinese gymnasts before the gymnastics team competition last night. 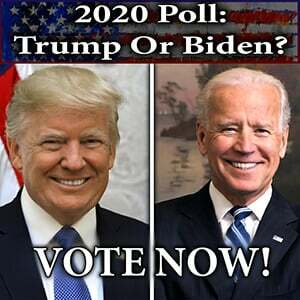 But, after the world got a better look at the teens with missing baby teeth there were several reports today on the controversy. With the start of the women’s gymnastics competition less than one week away, questions are again being raised about the age of a Chinese gymnast scheduled to compete at the Beijing Games. Yang Yilin, a top contender for gold in the all-around and the uneven bars, could be 14 instead of the minimum age of 16, The Associated Press reported Sunday. She is the third of six Olympians on the Chinese women’s gymnastics team whose age has been questioned in the lead-up to these Olympics. 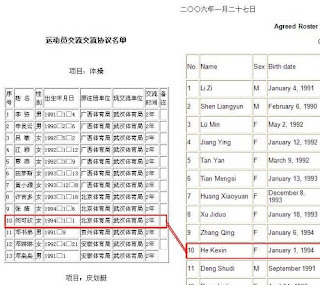 Registration lists from 2003 to 2006, previously posted on the Web site of the General Administration of Sport of China, said Yang was born on Aug. 26, 1993, which means she will turn 15 later this month. Gymnasts must turn 16 during the year of the Olympics to be eligible to compete in the Games. On the 2007 registration list, Yang’s birthday changed to Aug. 26, 1992, suddenly making her old enough for the Olympics, The A.P. said. Chinese gymnastics officials have not yet addressed the question of Yang’s age. Jacques Rogge, the president of the International Olympic Committee, said in a news conference Saturday that age eligibility was not an I.O.C. issue, and that the International Gymnastics Federation, known by the acronym F.I.G., is in charge of making sure gymnasts are old enough to compete. The F.I.G.’s secretary general, André Gueisbuhler, told The A.P. that he would not comment about Yang’s age because he had not seen the paperwork. There were reports last month that the Chinese had previously listed two of the gymnasts as ineligible to compete in the Beijing Games due to their age. Two female Chinese gymnasts, including a gold-medal favourite, might be too young to participate in the Beijing Olympics. Several online records and reports show He Kexin, the host nation’s top competitor on uneven bars, and Jiang Yuyuan might not yet be 16, the minimum age for Olympic eligibility for gymnastics. Both were chosen for China’s team last week. The 16-year-old newcomer to the national team, who was recruited last year, has raised a lot of eyebrows recently after she broke two world records on the uneven bars in as many months. China.org also has the article posted saying the gymnast was 14. UPDATE 2: Another article on He Kexin at Xina Sports news service, via China Digital Times, had her age listed as 13 in November 2007. This article was originally written in the official language of China so they cannot claim it was mistranslated. The AP says the page is no longer available. But, too bad for China the articles were saved in the internet archives. Michelle Malkin has the official IOC non-response to the-is obvious scandal. UPDATE 3: Pressure is building on the IOC to act. UPDATE 4: I see that David Flumenbaum at The Huffington Post has more information on the scandal. This report has her date of birth on January 1, 1994.